It's important to CWLP that all of our customers receive the greatest possible benefit for every dollar they spend on electricity and water. That's why we offer a number of rebate programs designed to help you become the smartest possible energy and water consumer. Except where noted, rebates are applied as credits to participating customers' utility bills. The Heat Pump Rebate is available to CWLP residential and commercial electric customers who install qualifying air-source or geothermal heat pumps in their new or existing properties. Any structure that is not owner-occupied, including apartment complexes, retirement facilities and office buildings, is considered a commercial property for purposes of this rebate program. For information on amounts available for all of CWLP’s rebates and full program details on program pre-approval requirements, please contact the CWLP Energy Services by phone at 217.789.2070 or email at nrgxprts@cwlp.com. Helping Homes is a program to help qualifying low-income electric customers reduce their energy costs through the installation of energy-saving retrofits to their homes. The 2014 High-Efficiency Toilet Rebate Program began Monday, September 1, 2014. Funding for the program is limited and rebates are available on a first-come, first-served basis. For more information about our HE Toilet Rebate head over to its standalone page! You can also find the Rebate form below. For more information about our Rain Barrel Rebate head over to its standalone page! You can also find the Rebate form below. Is your old showerhead not working so well and wasting water? Bring your old showerhead to the address below with a copy of your CWLP bill and receive a new WaterSense showerhead. Free showerheads are available to CWLP residential water customers only. *Limit of two showerheads is allowed per residential water account. For more information about CWLP's Showerhead Exchange program, contact the CWLP Energy Services Office by phone at 217.789.2070 or by email (nrgxprts@cwlp.com). 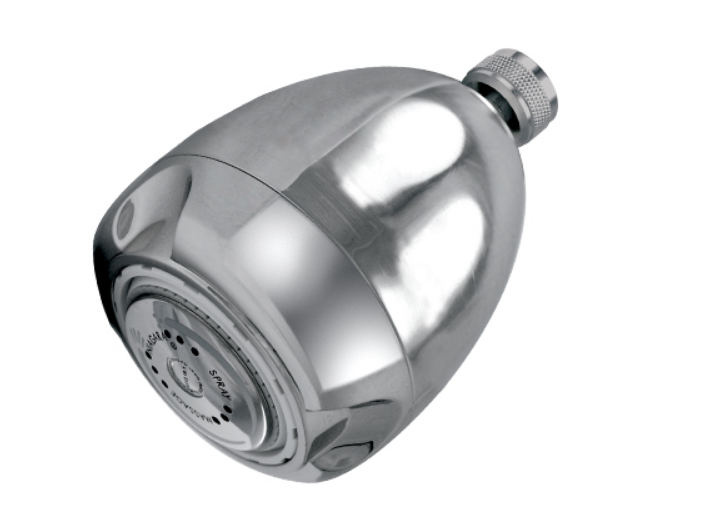 Older showerheads can use up to 3.5 gallons of water per minute (GPM) compared to current standard of 2.5 GPM. New WaterSense showerheads use even less water than the federal standard of 2.5gpm while maintaining exceptional functionality. Since the WaterSense showerhead uses less water, this can save nearly 7,000 gallons of water annually (or nearly $56 per year in associated water charges) and up to $30 per year in energy savings. *All old showerheads received will be recycled of in an environmentally responsible way. For more information about our Water Heater Rebate head over to its standalone page! You can also find the Rebate form below.